Last month, Hasselblad announced the 4116 Collection, which included the Hasselblad True Zoom camera, special edition bags and collaborations with Motorola. At Photokina, the manufacturer announced two new cameras that will be added to the collection. These include a 4116 Edition of the X1D camera, Hasselblad’s compact, mirrorless medium format camera and the V1D 4116 Concept camera. As far as we can tell, the 4116 Edition of the X1D doesn’t change any of the technical aspects of the camera. It’s just getting a shiny new coat and a 4116 label. The more interesting camera is the V1D. Hasselblad describes the camera as modular and it comes with the ability to attach equipment on all four sides of the body. We’re curious to see what kind of attachable gear Hasselblad creates for the V1D. Finally, though not part of the 4116 Collection, Hasselblad also announced a new XCD lens. It’s a 30mm lens designed for the X1D camera system, which brings the XCD lens options up to three, including the 45mm and the 90mm already available. For more details check out the press release below. We’ve also added images of the V1D Concept and XCD lens if you’d like to see what those look like. Following last month’s announcement of the 4116 collection which included collaborations with Motorola, The Hasselblad True Zoom, special edition camera bags from Swedish accessory brand Sandqvist and technical expertise sharing with ALPA, Hasselblad is proud to announce two new additions, completing the collection–the X1D ‘4116 edition’ together with an innovative concept study, the V1D ‘4116 edition’. The 4116 collection has been created to commemorate Hasselblad’s 75 years at the pinnacle of photography. Since 1941, the brand has drawn on Victor Hasselblad’s philosophy of innovation and design to produce cameras that push the boundaries of excellence. 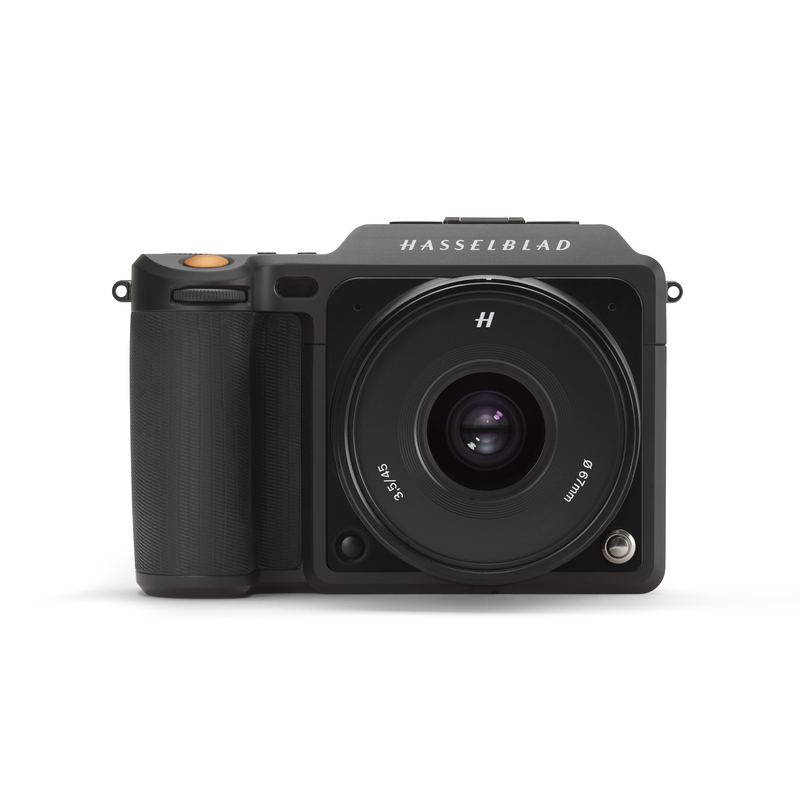 Commenting on the launch Perry Oosting, Hasselblad CEO noted: “The success of the X1D has far exceeded our expectations and we are delighted with the overwhelmingly positive feedback we’ve received since the reveal in June. What happens when you combine the fundamental principles behind the classic Hasselblad cameras with cutting edge technology, modern production methods and contemporary design? The V1D 4116 Concept is a study created to explore the Hasselblad heritage to find new ways of designing innovative cameras for the future. Hasselblad’s engineers and designers came up with a modular concept with a square format (75MP) inspired by the classic Hasselblad V Camera. One of the fundamental principles behind the design of the V1D is the modular approach. Hasselblad has created a uniquely flexible platform for photographers to set up the camera to suit their specific needs. The camera body is more or less a black box, carefully machined out of a solid block of aluminium, carrying fixings for modules on 4 sides. The top and the back surface can carry modules that cover the entire surface such as displays, viewfinders and holders for accessories. The left and right hand surfaces have round fixings for controls and grips. The photographer can choose where to place the display – or if needed it is possible to have two displays. Users can have a viewfinder on the top and a display at the back. The camera can be used with the robust, but generic grip or held like a classic V Camera to reach the exposure button in the front. With the V1D being completely modular, left-handed photographers can also configure the camera perfectly for their needs, with the rotary dial controls for aperture and shutter speed placed on either the left or right hand side. All in all, there are many ways to personalise the V1D. The proportions of the body have been carefully developed to find the perfect blend between a modern product expression and the classic Hasselblad silhouette. The XCD lens is part of a new family of dedicated autofocus lenses, developed to support optical quality and portability, offering a wide range of shutter speeds and full flash synchronisation up to 1/2000 sec. Hasselblad can now offer following XCD lenses: 30mm, 45mm and 90mm – in addition to all 12 HC/HCD lenses.